Fort Wayne is a city in the northeastern part of Indiana a state of the United States of America. It is 30 minutes from the western Ohio border and 70 minutes from the southern border of Michigan. With a population of around 260,00 in the city and 615,000 in the metropolitan area, it's Indiana's second largest city. Fort Wayne is a metropolitan city with a small community feel. It provides the rush of urban activity while never losing an intimate personal connection with those who live or visit here. 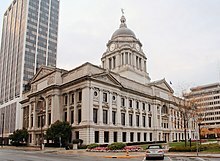 Fort Wayne is the second largest city in the state of Indiana, located in Allen County, the largest county in the state by geography. It is the regional commerce and industry center for Northeast Indiana and also impacts the economies of Southwestern Michigan and Western Ohio. Fort Wayne has been and is a breeding ground for entrepreneurs and high tech industries. 40.978333-85.1952781 Fort Wayne International Airport (FWA IATA). Recommended to passengers looking for the convenient and friendly way to travel. Recognized as "the nation's friendliest airport" by USA Today. FWA's airlines offer daily direct flights to/from Atlanta, Chicago, Cincinnati, Cleveland, Detroit, and Dallas-Fort Worth. With free wireless internet throughout the terminal, ample parking, short security lines and access to hundreds of destinations worldwide. Fort Wayne International Airport operates 24 hours a day, 7 days a week.It's served by commuter and regional jets from most of the major hubs in the country. The airport has free internet (wireless or in carrels upstairs on the secure side). There is a cookie factory right across the street from the airport, and you can tell what they're baking that day by smell. Volunteers meet you when you arrive and give away free cookies as you come through security. For flights to Chicago, expect to pack your hand luggage into a small cargo hull. It is recommended that you avoid packing anything fragile in your carry-ons. The smaller lines operate tiny planes in between FW and Chicago and there is little room for even ladies' purses. There is a shuttle bus service between Indianapolis and Fort Wayne run by Hoosier Shuttle. Interstates 69 makes Fort Wayne easily accessible by car from the north and south. It connects to Indianapolis, in the south and Lansing, to the north. I-469 is an southern and eastern interstate by-pass of Fort Wayne that connects with I-69 at both ends. U.S. 24 is an important expressway and connects to Toledo, Ohio in the northeast and Lafayette, Indiana, to the southwest. U.S. 27 is an important highway, providing access primarily from places to the south and is the main north-south highway through downtown. U.S. 30 is an important expressway, providing access primarily from places to the west and east. It connects to Lima, Ohio in the east and Valparaiso, to the west. U.S. 33 is an important highway, providing access primarily from places to the northwest and south. It connects to Columbus, Ohio in the south and Goshen and Elkhart, to the northwest. Greyhound has multiple long-haul services to Fort Wayne from most nearby cities. The 41.072223-85.1386292 Greyhound bus station is located downtown at 121 W Baker St.
Fort Wayne is not directly served by passenger rail, but Amtrak has several daily services to nearby Waterloo, half an hour north of Fort Wayne. Be prepared to phone for a cab or have someone meet you because transportation from the station to the city is limited. The station is served by Capitol Limited between Washington D.C. and Chicago as well at the Lare Shore Limited between New York, Boston and Chicago. There is a municipal bus system that can get you around called Citilink. The system has limited routes and hours of operation. To get into downtown US 27 would be the main route from north or south and Jefferson Boulevard from the west. From the east the route to downtown Fort Wayne Washington Boulevard and would pass through New Haven. All major Rental Car Companies have franchises are at the airport, but don't rent here. The airport branches are much more expensive. Call the Enterprise Car Rental location on the SW or NE side and have them pick you up. They have a weekend rate for $9.95 a day, from Friday morning through Monday morning. Reserve other rates online for the best rates. If you get into the airport on a late flight, don't assume there will be taxis waiting. Call ahead and arrange one on A-1 taxi at 260-478-9910 or 800-871-0518. Allen County Public Library Genealogical Collection. It is the largest public genealogical collection in the United States. The library offers special classes and has librarians there to assist you in your search. One night a year, they keep the room open until midnight. It is usually around Halloween. 41.079481-85.1362971 The Fort Wayne History Center, 302 E Berry St, ☎ +1 260-426-2882. Is a museum with many interesting displays about the area, from the days before Europeans came, to modern times. Even the castle-like building is worth a careful look. Among the stories to be read there are the afternoon that hi fidelity sound (from separating the frequencies and routing them through different speakers) was invented at the local Magnavox plant. They had settled on the term "tweeter" for the small speaker, but rejected a number of other suggestions before settling on "woofer" for the big ones. 41.0772-85.14172 Fort Wayne Firefighters Museum (Engine House No. 3), 226 W Washington Blvd, ☎ +1 260-426-0051. 41.0756-85.13943 Foellinger-Freimann Botanical Conservatory, 1100 S. Calhoun St, ☎ +1 260 427-6440. Three indoor gardens with over 500 species of plants and 72 different cacti. They even have a childrens area with human sized worm holes and a talking tree that is quite cute. $2-$4. 41.106389-85.1545144 Fort Wayne Children's Zoo, 3411 Sherman Blvd, ☎ +1 260 427-6800. Voted one of the top ten for children by Child magazine. With over 1500 animals, from lemurs to dingo dogs, orangutans to tigers. Themed areas like the Indonesian Rainforest and the new African Journey. They also have a sky ride, zoo train, carousel, canoe ride, and pony ride. Really nice zoo! $10-$14. 41.0814-85.13587 Fort Wayne Museum of Art, 311 E. Main St, ☎ +1 260 422-6467. Focusing on American art, permanent pieces by William Forsyth, Janet Fish and more, and a collection of 56 Indiana Amish quilts. Furniture collection, modern and traditional art, Indiana artists, African American art, and more. $3-$10. [dead link] Kachmann Gallery, ☎ +1 260 424-3581. Kachmann Gallery is a unique experience and resource in downtown Fort Wayne. A celebration of life and wellness; fine and commercial art; communication and media, the gallery is a beautiful and innovative focal point for cultural enrichment, personal development, events and entrepreneurship. Gallery Hours Thursday - Saturday 12-4 or by appointment. 41.091854-85.1394063 Science Central, 1950 N Clinton S (Drive north from downtown on Clinton S, or take bus 8), ☎ +1 260-424-2400. A few minutes' drive north of downtown is Science Central, a hands-on science museum particularly well suited for children. There are many mechanical, optical, and industrial exhibits to explore, including a more-or-less working grain elevator inside. Fort Wayne Komets. Fort Wayne's minor league hockey team that plays in the International Hockey League. Founded in 1952, the Komets have won five league championships and have played every home game at Allen County War Memorial Coliseum. Fort Wayne TinCaps, ☎ +1 260 482-6400. Play at the recently-built Parkview Field located downtown. Seats over 8,000 and provides a "big city" feel. The Tincaps are the Class A affiliate of the San Diego Padres. Tickets are cheap and games are fun. The best night to go is "dollar night" when hot dogs, soda and BEER (yes beer) is a mere $1 per cup. $6.50-$9. 41.115556-85.1244444 Fort Wayne Mad Ants, Allen County War Memorial Coliseum, 4000 Parnell Ave. The Summit City's NBA G League team, owned by the Indiana Pacers; the name recognizes the general and statesman Fort Wayne was named after, General "Mad" 'Ant'hony Wayne. 41.119013-85.1075535 Purdue Fort Wayne Mastodons, Hilliard Gates Sports Center, ☎ +1 260 481-6555. Sports teams of Purdue University Fort Wayne, created in July 2018 when the Indiana University and Purdue University systems dissolved their joint Fort Wayne campus. The teams had represented the joint campus, but now represent only the Purdue portion. The Mastodons play NCAA Division I sports (but not football) in the Summit League. The central ticket office for all Mastodons sports is at the Gates Sports Center, home to basketball and volleyball for both men and women. The men's basketball team occasionally plays at the much larger Memorial Coliseum. If you like chocolate, there is a great store with four different locations called Debrand's It is located in the airport, on the non-secure side, across from security, off of Coldwater Road south of Washington Center Road, on Auburn Road in the north, south of Dupont Road, and in the southwest in Jefferson Pointe. This store sells some of the best chocolate you will taste anywhere. It is made in Fort Wayne. They supply the TV show "The Apprentice" with the gold coin chocolates in the executive suite. The chocolate ain't cheap, but splurge and buy a couple of pieces - you will not regret it! Fort Wayne has great shopping. Visit Jefferson Pointe on the southwest end of town for the up-scale department store Von Maur, a DeBrand chocolate shop, Barnes & Noble bookstore, Rave movie theater, restaurants (including the excellent Eddie Merlot's and popular Biaggi's) and mall stores (Victoria's Secret, Bath & Body Works). What makes it fun, especially in warm weather, are its wide concourses for strolling and window shopping, with beautiful garden areas, potted plants, and fountains. Live music on Friday nights during the summer is especially fun. Look online for a listing of summer music acts. Glenbrook Square Mall, located on the north end of the city, is a legacy-type enclosed mall. It is always busy, has many stores, three big department anchors, and a really nice food court. After Dark 1601 S. Harrison - LGBT nightclub open every night 6-3am. Sunday, Monday, and Wednesdays are kinda quiet, with karaoke going on. Tuesday nights are often busy, featuring male strippers that are usually pretty good. Thursday through Saturday offer drag shows that feature great local talent (with some not-so-great ones as well) and the best visiting queens from around the midwest. Dancing is always going on in-between and after the shows. Crowd is fairly eclectic; lesbian, gay and straight - young and old - trendy and traditional. [dead link] Higher Grounds Coffee House. Downtown (Corner of Calhoun and Wayne St.), Many other locations Phone: 485-0100. Like many cities, Fort Wayne has some trouble spots. To be safe, lock your vehicle when you plan to leave it unattended anywhere in the city, but especially in a parking garage or low lit area after dark. Places to be careful during the day and not walk through after dark include areas on the southeast side of downtown. Take care as you would in any major city after dark. One natural threat to be aware of are tornadoes: if you hear a siren or there is a tornado warning issued, take it seriously. Journal Gazette. Fort Wayne's daily morning newspaper. News-Sentinel. Fort Wayne's weekday afternoon newspaper. 41.0771-85.14321 Allen County Public Library (ACPL), 900 Library Plaza, ☎ +1 260-421-1200, e-mail: ask@acpl.info. Free wi-fi, internet terminals available. The ACPL has the second largest genealogical collection in the U.S. (second only to the Mormon Church Archives in Salt Lake City). Of course, there is a coffee shop, wifi connection, used book store, and such to visit too. The library is enormous, by the standards of mid-sized cities, and claims to have a larger circulation figure than Denver's public library. $1 per hour for parking max of $7. YMCA Downtown - If you are a member of a YMCA anywhere you can work out here. Also, if you stay at the downtown Holiday Inn or Hilton, you can work out here (both are a short walk). They have 4 fullcourt basketball courts, and indoor track (1/8 mile), 5 racquetball courts, an aerobic room, a machine area (new Cybex machines) and a serious free weight room in the basement. They also have "Health Clubs for members of Y's that have that option that includes sauna, steam, whirlpool and a TV lounge. Kachman Mind Body Studio - Honor your mind body and spirit at Fort Wayne's premier yoga studio. Offering Yoga, Pilates, Personal Training, Nutrition, Thai Yoga Massage and Corporate Wellness Programs. Located in Downtown Fort Wayne on the corner of Lafayette and Douglas. Tour studio, meet the instructors and learn about daily classes at  or call +1 260-420-9642. Drop in's welcome! Auburn Cord Duesenberg Museum - About 30 minutes' drive north of Fort Wayne, in Auburn, is the famous Auburn Cord Duesenberg Museum. It harks back to Fort Wayne's earlier glory days as part of the automobile industry. (The gas pump was invented here.) Apart from the exhibits, they have an elaborate souvenir shop, conference center, and other facilities. In the same area and within a few minutes' drive are several other substantial museums, including one with a very large collection of WWII land vehicles. Black Pine Animal Sanctuary - An non-profit exotic animal sanctuary located about 45 minutes north of Fort Wayne in Albion. Albion's a quaint small town with a beautiful courthouse. Black Pine is 1.5 west of town on Main Street (1426 W. 300 N.), and is home to lions, bears, chimps, tigers and other exotic animals. All their keep are rescued pets or retired performers, and their volunteer staff offer guided tours to show you around, are very friendly, and very knowledgeable. If you love animals, this is the place to see them really up close. Not great for little kids, but great for older kids and adults. Visitors must be on their best behavior for the comfort of the animals at all times. This city travel guide to Fort Wayne is a usable article. It has information on how to get there and on restaurants and hotels. An adventurous person could use this article, but please feel free to improve it by editing the page.